The Nifty moved 1.4% up in April, which took teh annual return to just about flat (the index is down about 1.2% in 2016). We’ve now had two lousy months (Jan and Feb) and two good months (March and April) – with May already showing signs of recalcitrance. May is a positive month on average. But May has big results too and the index tends to move a lot, looking at the high standard deviation. Don’t really sell in May and Go Away. This may work for the US but data shows it’s a terrible thing to do for India. 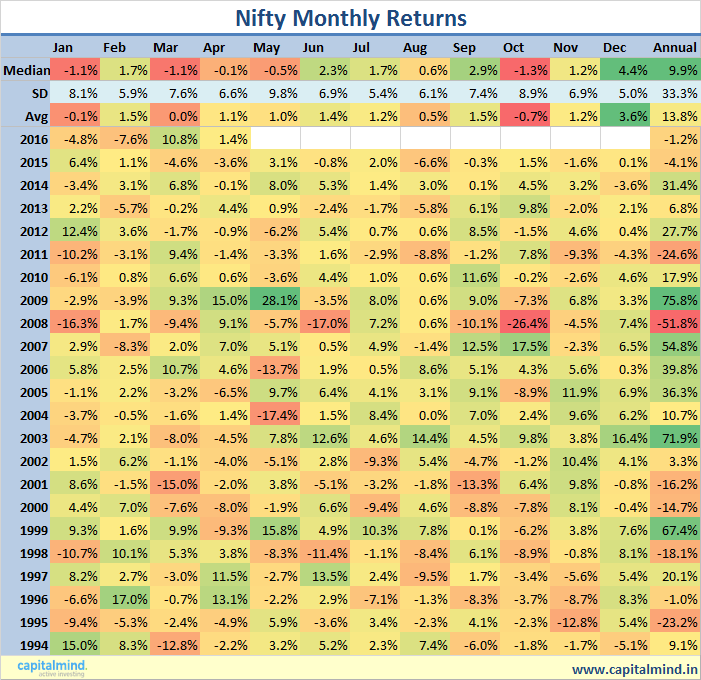 The average return for May to Aug is very positive in India => Holding stocks May to August has an average return of +4%! 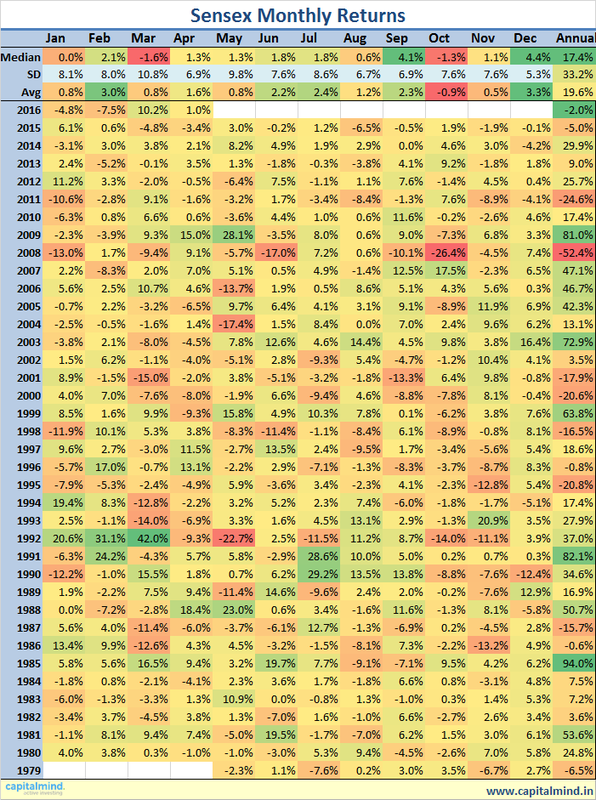 You should really never bother investing in October. That’s been a lousy month and we can’t even blame politicians. There are of course some months with reasons. March, because it tends to be the financial year end, has implications on profit booking etc. January, April, July and October tend to see volatility due to result announcements that happen in the first month after the quarter closes. May is mostly an election month so there’s always a big move every five years or so. Feb is a budget month, and December is when FIIs close their books etc. But it’s dangerous to work through a strategy that purely depends on month alone as a differentiating criterion. Just saying, even though I love the visual feel of the charts above.